We’re so excited! San Diego Family Magazine and the Special Needs Resource Foundation of San Diego won 10 awards at the 45th Annual San Diego Press Club Excellence in Journalism Awards last month. . . . Sales Executive Position Available Work for a great family company with team players, based downtown San Diego with open territory sales with a focus in East County, San Diego. You don’t . . .
San Diego Family has been San Diego County's best parenting resource since 1982. Our mission is to enhance the quality of life for San Diego County families by providing information and resources that . . .
History of San Diego Family Even from San Diego Family's humble beginnings and original design as a black and white tabloid-style newspaper, the goal has always been to provide educational articles, . . .
San Diego Family Magazine - A Look Back SDFM has been San Diego County’s best parenting resource since 1982. Each issue is now available online. You can also connect with us via Facebook, Twitter a . . . Readers LOVE San Diego Family! 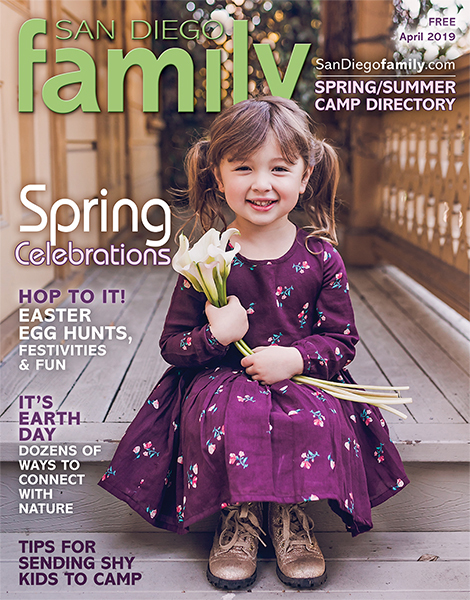 Many local media companies look to San Diego Family as the industry leader on "All Things Family." Below are segments showing some of the coverage we have had the opportunity to be part of. Awards for San Diego Family!